Southwest is a low cost airline. It was the first low cost airline. But to them low cost does not mean bad service. On the contrary they offer fantastic service. Potential employees fight to get a job with them and customers love to fly with them. A woman on board a plane was told to get off. The plane had been on the runway at the time ready to take off but then turned and returned to the gate. She was asked to disembark. No reason was given. She was just asked to go to the customer service desk in the terminal. When she got there she was told her sone had been in an accident and was in a coma. They had turned the plane around to get her back so she could be told and she then found that the airline had already organised her a free flight to the city where her son was. When he set up the Ryanair low cost model Michael O'Leary went and studied Southwest Airlines. I think he might have missed one of the most important ingredients in what Southwest offer. 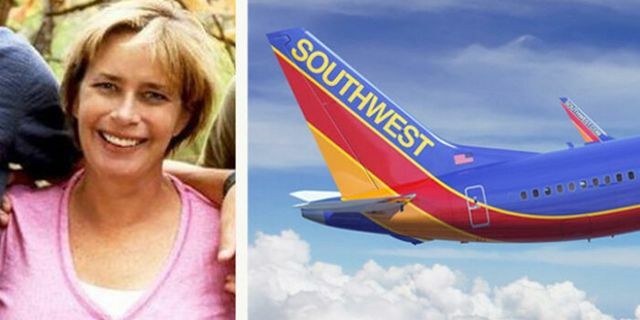 Peggy Uhle cannot thank Southwest Airlines enough after they kicked her off her flight to Columbus.